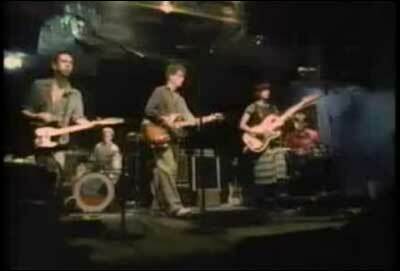 THE FEELIES: The Jonathan Demme-directed "Away" and a live take on "Deep Fascination" for Twofer Tuesday. THE BREEDERS played Pitchfork Live. VUNDABAR played a Stereogum Session. PHOEBE BRIDGERS played a mini-set on CBS This Morning. THE HOLD STEADY shares "Eureka" and "Esther" in time for twofer Tuesday. PERFUME GEINUS shares "Lulla" and "Jory" in time for twofer Tuesday. COURTNEY MARIE ANDREWS shares "I've Hurt Worse." IRON & WINE: Sam Beam covers Innocence Mission's "Tomorrow on the Runway," from the new film Irreplaceable You. TALK TALK gets over two hours of discussion on the latest Political Beats with guest Ezekiel Kweku, politics editor at New York magazine. THE WEDDING PRESENT: David Gedge talks to Aquarium Drunkard about the absurdities that come with living a creative life. 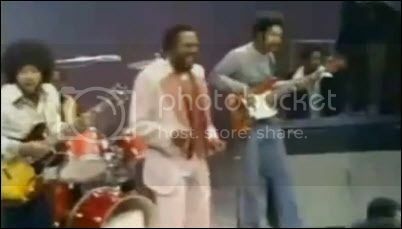 THE NUMBER ONES akes on Chubby Checker's immortal dance-craze anthem "The Twist." RUSS SOLOMON, the founder of Tower Records, died at 92 while drinking whiskey and watching the Oscars. THE OSCARS: Viewership hit an all-time low. FRANCES McDORMAND's Oscar was temporarily stolen. ADAM WEST, DELLA REESE and GLEN CAMPBELL were among those snubbed by the Oscars "In Memoriam" segment. JOHN BOYEGA: Come for the New York Times profile, stay for the Harrison Ford quotes. JOHN WILLIAMS is stepping away from soundtracking Star Wars after Episode IX. MARY POPPINS RETURNS shares a teaser trailer online. JIM BELUSHI's wife filed for divorce on the anniversary of his brother's death. A BABY CHIMP, rescued from poachers in the Congo and flown to safety. TAKING YOUR CATFISH on a walk through the park. GANGSTER TURKEYS overrun a community college in Eugene, OR. JAPANESE BREAKFAST shares a video for "Boyish." 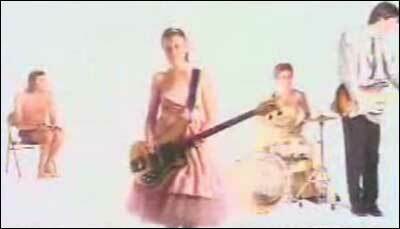 THE BREEDERS stream All Nerve. MARGARET GLASPY streams her Born Yesterday EP. TITUS ANDRONICUS streams A Productive Cough. HORSE FEATHERS shares "Without Applause." LAKE STREET DIVE shares "Good Kisser." 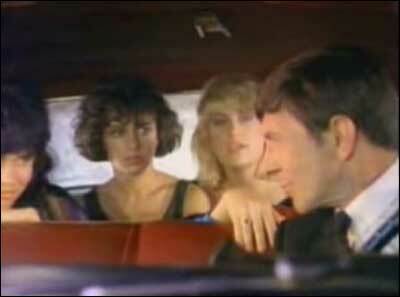 THE BANGLES are "Going Down To Liverpool" to do nothing with Mr. Spock. DOLLY PARTON's Imagination Library delivered its 100 millionth book. DAVID BYRNE reveals why he's started collecting reasons to be cheerful. THE BEST SPRINGSTEEN BOOKS, according to Pitchfork. THE NUMBER ONES looks at Elvis Presley's joyously operatic "It's Now Or Never." 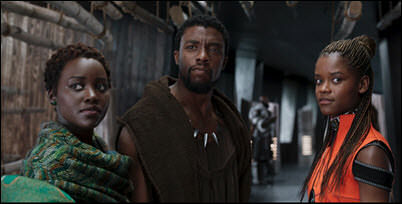 WEEKEND BOX OFFICE: Black Panther tops the chart with 65.7MM, crossing 500MM domestic and entering the all-timeTop ten after just three weekends. It's actually lagging a bit in foreign markets right now, but at almost 900MM worldwide, the Mouse ain't complaining. Red Sparrow places with 17MM, which is probably slightly off what the studio projected. The Death Wish remake shows with 13MM against a 30MM budget, which means this likely makes money. Game Night drops to the fourth slot with 10.7MM and is close to recouping its production budget. Peter Rabbit rounds out the Top Five with 10MM and will likely reach 100MM domestic given the lack of competition for family audiences. THE OSCARS went to these folks. Congrats, esp. to Roger Deakins. JENNIFER LAWRENCE & JODIE FOSTER replaced Casey Affleck at the Oscars. THE SPIRIT AWARDS went to these folks. Congrats. THE RAZZIES went to these folks. Congrats? THE WEINSTEIN COMPANY will be purchased by a female-led investor group. DAVID OGDEN STIERS, who played the snobbish but sympathetic surgeon Winchester on television’s “M*A*S*H” and later delighted a generation of children with voice roles in Disney movies, including as the clock Cogsworth in Beauty and the Beast, died March 3 at his home in Newport, Ore. He was 75. 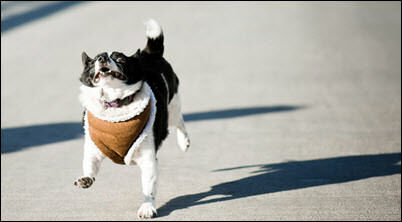 TWO DOGS running down Phoenix freeway cause a police chase, traffic chaos. A JILTED HAWK discovers her nest is home to a third bird. AGAINST THE OCTOPUS: It's not a crafty, soulful genius. It's dinner. THE CHICKEN TAX makes trucks expensive. JIMI HENDRIX: Advance stream Both Sides of the Sky. 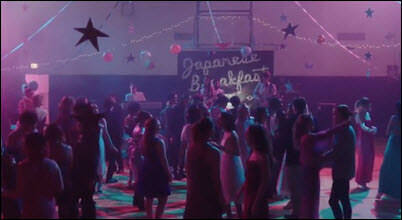 DAVID BYRNE: Advance stream American Utopia. NAP EYES: Advance stream I'm Bad Now. THE AUSTIN 100: NPR has your annual SXSW mix. BLAKE BABIES' ' fab cover of "Temptation Eyes." THE WISDOM OF KEITH RICHARDS: The Lord of the Undead talks to The Wall Street Journal. PINK FLOYD: Ten things you may not have known about Dark Side of the Moon. KIM DEAL talks about being "all in" with The Breeders. THE NUMBER ONES looks at ... "Itsy Bitsy Teenie Weenie Yellow Polka Dot Bikini." NOW SHOWING: This weekend's wide releases are Red Sparrow (51 percent Tomatometer) and Death Wish (unscreened for critics until the last minute). The battle for second to Black Panther is likely to go to J-Law, but an upset would not be out of the question. THE OSCARS: Last year, the show drew 34 million viewers, second worst to 2008's 32 million. Anyone wanna bet they set a record? A DOZEN people with 10 Oscar nominations and no wins. Roger Deakins should come off the list Sunday. WONDER WOMAN 2's villain may be... Kristen Wiig. AVENGERS: INFINITY WAR moves up a week to April 27. HIP-HOP's WEALTHIEST, according to Forbes. 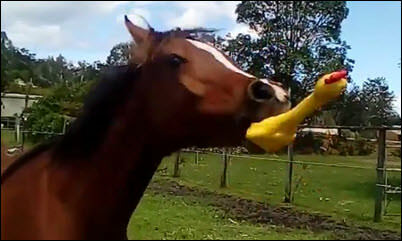 A HORSE, and his rubber ducky. A MISSING DOG survived a fatal car crash and reunited with the victim's family. AN ONLINE MONKEY PURCHASE goes wrong. Who knew? WHALE PETTING may be illegal. THE PSYCHEDELIC FURS: "Pretty In Pink," from the soundtrack of the movie which debuted this week in 1986. LEE ANN WOMACK plays a Tiny Desk Concert. HEMBREE plays a mini-set at The Bridge. YO LA TENGO shares "For You Too." DINOSAUR JR shares "Hold Unknown." RYLEY WALKER returns with "Telluride Speed." SUPERORGANISM covers Pavement's "Cut Your Hair." CHVRCHES bring MATT BERNINGER in on "My Enemy." ALICE BAG channels 9 to 5 in the video for "77." KEITH RICHARDS, with an anti-drug message. Sort of. CAR SEAT HEADREST: Will Toledo addressed overzealous fans encroaching on his privacy, shutting down his fan Reddit page in the process. 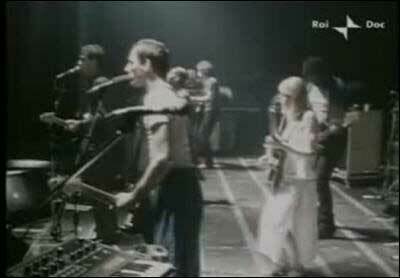 MGMT met Lou Reed at a dog show. THE NUMBER ONES looks at Brenda Lee's signature song "I'm Sorry." And yet no shout out to Ben Vaughn. STAN LEE revealed that she's been fighting pneumonia. HARVEY WEINSTEIN's insurance company wants no part of his multiple sexual misconduct lawsuits ... and is marching into court to make sure it doesn't get burned. RYAN SEACREST's accuser has a corroborating witness for her harassment claim. ALEC BALDWIN is getting a talk show. What could possibly go wrong? BRAD PITT is joining Quentin Tarantino’s Once Upon A Time In Hollywood. It's apparently not in troubles, as some reported. CHARLIZE THERON talks about quitting pot and possibly restarting. AMY SCHUMER had some odd wedding vows. GUARDIANS OF THE GALAXY director James Gunn explains Groot and Baby Groot on a level I had not considered. FOX bites man, cat, dog; steals shoe in Fairfax County. CANNABIS TREATMENT FOR PETS could be coming to Cali. POLAR BEARS, living their best lives in the UK. BUFFALO TOM advance streams Quiet and Peace. ALL SONGS CONSIDERED features Kacey Musgraves, Editors, Parquet Courts, Yo La Tengo and more. SPINY NORMEN is streaming their shelved '70s psych-prog album. LAURA VEIRS brings SUFJAN STEVENS on board for "Watch Fire." UNKNOWN MORTAL ORCHESTRA shares "We're Not In Love We're Just High." SKATING POLLY shares a video for "Queen For A Day," co-written by X's Exene Cervenka. GEORGE CLINTON talks to Rolling Stone about cultural appropriation, aliens, LSD, and more. BLINK 182's Tom Delonge quit the band to become one of the world's leading UFO experts. THE 50 BEST SOUTHERN ROCK ALBUMS, according to Paste. THE NUMBER ONES looks at the Hollywood Argyles' caveman-themed hit "Alley Oop." HEATHER LOCKLEAR's closest friends are hoping her recent arrest will help her get her life on track. VANILLA ICE has been accused of hiding millions of dollars in his divorce. WRECK-IT RALPH 2 shares a teaser trailer. THE WEEK OF, a Netflixer starring Adam Dandler and Chris Rock, has a trailer online. BARBRA STREISAND had her dog cloned. Twice. AUSTRALIAN GOATS: The U.S. can't get enough. A MUSKRAT joins a Grand rapids law firm. WILD HORSES have been faking it all these years. A 9-FOOT GATOR was removed from front doorstep of Florida apartment.